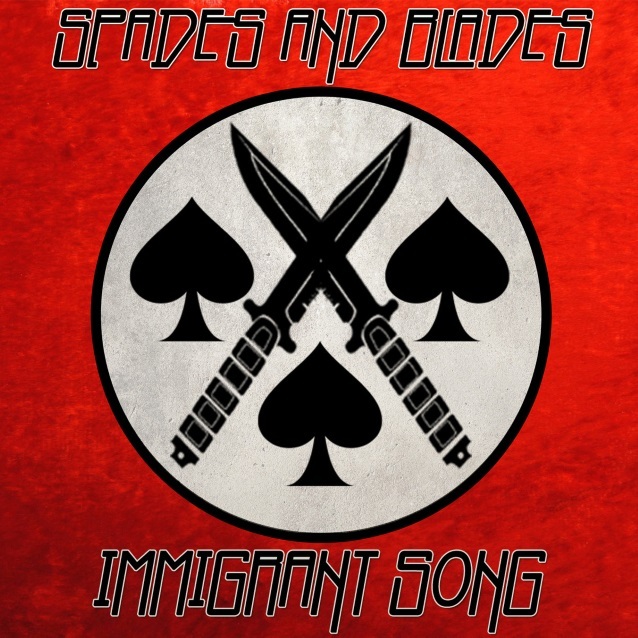 Los Angeles metalcore outfit SPADES AND BLADES has released the official lyric video for its pummeling remake of the LED ZEPPELIN classic "Immigrant Song". The track has already been building a heavy buzz via Sirius XM's Liquid Metal, where it came in at No. 2 for the 2017 "Corridor Of Covers" show. The song, which features guest vocals from Hernan "Eddie" Hermida of SUICIDE SILENCE and ALL SHALL PERISH, was produced by Dino Cazares of FEAR FACTORY fame and was engineered by Damien Rainaud (FEAR FACTORY, DRAGONFORCE, INCITE). SPADES AND BLADES will perform on March 2 with WAR OF AGES at Malone's in Santa Ana, California. 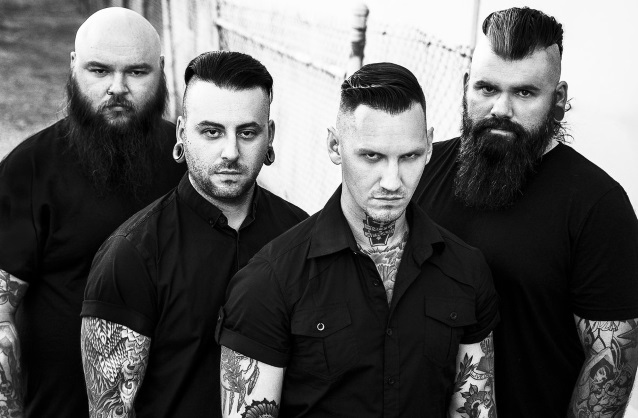 In 2016, SPADES AND BLADES spent seven weeks touring the U.S. with SOILWORK and FEAR FACTORY.